Have you made your New Years resolution yet? Did you know that according to a Nielsen Survey the #1 resolution for 2015 was to “stay fit & healthy”? Let’s make that our only resolution for 2016. It will be an attainable goal. To keep your immune system healthy & to keep up your energy to exercise & keep fit, how about adding a post script to that resolution; add 2 – 3 vegetarian or vegan meals to your menu each week. To help you with this, this post is about some new websites I have found. They are a treasure trove of recipes for those vegetarian/vegan meals. The name of this website caught my eye: The Veggie Queen. ABOUT JILL NUSSINOW: “I wear many hats but they’re all related to great food that includes vegetables and other plant-based cuisine. I’m a vegetable and plant-food cooking expert, in vegetarian, vegan and gluten-free eating. My specialty is vegan pressure cooking.” She has a section about using a pressure cooker for “fast food”: Pressure Cooking Basics. It certainly is faster & it does not alter the taste of the food. I prefer the “slow cooker” myself, but that is because I have more time to spend cooking these days. When I worked full time the pressure cooker was my best friend. Most of her recipes on this site are prepared without the pressure cooker. ‘Tis the Season of Carbs! 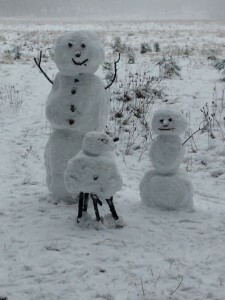 The weather has turned cooler for some & downright freezing for others. This is the time of the year when we want good, hot, comfort food. This is when we turn to those yummy, filling, carbs. Good news! They are good for you. Complex carbohydrates play an essential role in keeping the immune system healthy & functioning. Our body needs complex carbohydrates. Let’s look at what they are & where you can find them. U.S.National Library of Medicine: Complex carbohydrates are made up of sugar molecules that are strung together in long, complex chains. Complex carbohydrates are found in foods such as peas, beans, whole grains, and vegetables. Both simple and complex carbohydrates are turned to glucose (blood sugar) in the body and are used as energy. ***Simple carbs break down quickly in the digestive tract causing a sudden spike of sugar/glucose in your body. Complex carbs break down slowly so that your body maintains a healthy level of sugar/glucose in the body. Complex carbohydrate foods provide vitamins, minerals, and fiber that are important to the health of an individual. The majority of carbohydrates should come from complex carbohydrates (starches) and naturally occurring sugars, rather than processed or refined sugars, which do not have the vitamins, minerals, and fiber found in complex and natural carbohydrates. Refined sugars are often called “empty calories” because they have little to no nutritional value. When you juice fruits you are turning them into simple carbohydrates. You are removing the fiber which slows down the absorption of the fruits natural sugars/fructose. The same with vegetables that you juice. The difference is that vegetables don’t have a natural sugar content as high as fruits. This is why green juices, with no fruit in them, are the healthier choice. Carbohydrates: Simple versus Complex: I have copied the article from the Nutrition MD website in it’s entirety below. Simple carbohydrates are sugars. All simple carbohydrates are made of just one or two sugar molecules. They are the quickest source of energy, as they are very rapidly digested. “One Size” diet doesn’t fit all. I believe that deep down we all know that not everyone can eat the same foods & stay healthy. We watch friends eat huge portions at a meal & stay thin. Others eat small portions of the same foods & gain weight. When I drink a fruit juice my body acts like I just ate a bowl of ice cream. My husband can eat ice cream & drink fruit juice at the same time without a problem! Unfair! From my experience of watching people who decide to become vegans or vegetarians, I see that not all do well. I know people who became physically ill without the protein from fish or meat. When they added a small amount of chicken or fish to their meals they were fine. I also know others, myself included, who thrive as a vegetarian. I have, accidentally, eaten rice that was cooked in a chicken broth & I became physically ill. Why is this? A new study from Israel shows that it may be our gut buddies that determine the way we, as individuals, metabolize our food. In the study the researchers monitored the blood sugar & diets of 800 people. The study is controversial, as usual, because the diets were self reported. The participants filled out a food log & they wore a device that recorded their blood sugar after each meal. 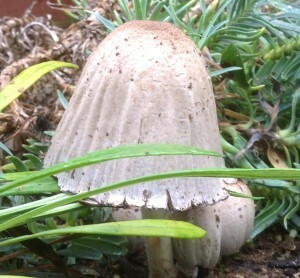 I love finding mushrooms in my garden. Each one is beautiful and unique. It is said that if you find mushrooms growing in a circle it is a Faerie Ring. Just don’t step into the circle, the Faeries will be angry The problem with mushrooms is that many of them are poisonous & difficult to identify. Here in the Northwest mushroom season starts in October. There are tours, festivals & mushroom walks with professionals. I choose to buy mine in the grocery store! I like to be cautious. Mushrooms are a fungus. They typically grow up on a stalk with a cap on top. 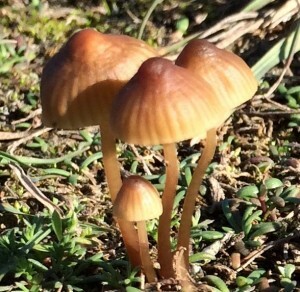 If you look on the underside of the cap you will usually find gills. Mushrooms vary in size, color, texture & shape. 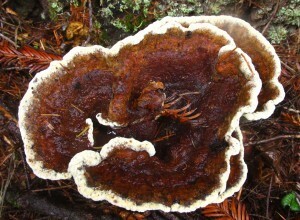 There are more than 10,000 types of mushrooms in North America. More than 1 million mushroom species in the world. A small percentage are poisonous. If you are interested in pursuing this subject here is a link to the North American Mycological Association. It has a list of mushroom clubs &/or societies in your area. Mushrooms are a fantastic health food. They are low in calories, high in protein, iron, zinc, fiber, vitamins ~high in anti-oxidants~ minerals & essential amino acids. Mushrooms have been used for their medicinal properties for thousands of years by various cultures all over the world to prevent & treat many diseases including cancer. 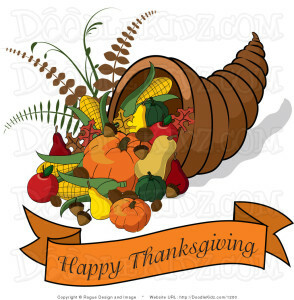 Thanksgiving is a time to be grateful & a time to spend with loved ones. It is also a time of feasting! I would like to add here that it is also a day to enjoy your food. A day of gratitude & loved ones is better for your immune system than any diet you are currently on! So, throw out the self-imposed eating rules, say a blessing of gratitude & enjoy. Whether you are having the typical Thanksgiving dinner with turkey, stuffing & gravy or a variation with Tofurky, stuffing & vegan gravy, there is always room on the menu for something new. Here are some suggestions. Thanksgiving Recipes: “Allrecipes has the best recipes for Thanksgiving turkey and stuffing, pumpkin pie, mashed potatoes, gravy, and tips to help you along the way.” This is one of my go-to sites for recipes. Everything I have tried has been perfect. This page, perfect stuffed turkey, is about all the ways you can cook one no matter if you are a beginner or an old pro Explore this link for more tasty ideas. Roasted Garlic Mashed Potatoes from this same site, Allrecipes, is a favorite of mine. I never boil anything, so I would suggest steaming the potatoes. I would also suggest using small red, purple or gold for a healthy change. My daughter makes her mashed potatoes with half being steamed cauliflower mashed with the potatoes. No one noticed the difference! 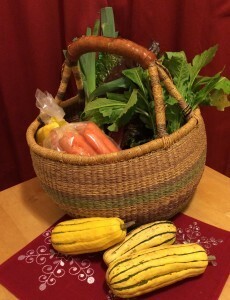 Delish 2015 Thanksgiving Dinners is another great resource. It even has recipes for leftovers! My favorite page is 15 Easy Vegetable Side Dishes. I have some extra squash & I saw this great recipe for Roasted Garlic Squash with Crispy Sage Brown Butter. 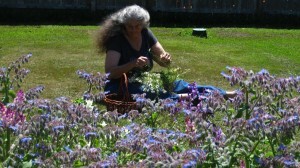 I also have an abundance of fresh sage in my herb garden. Not waiting for the “big day”, I am trying this one tonight I don’t see anything I would change except cut down on the amount butter suggested. I love Brussels sprouts & I just saw this recipe, Brussels Sprouts with Pancetta and Rosemary. Pancetta is an Italian bacon. As a vegetarian I would just leave that out. I wouldn’t need to replace it with anything, this recipe would be great without it. 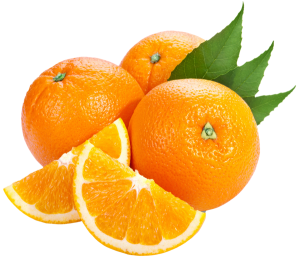 Vitamin C as a Cancer Therapy. The history of Vitamin C & cancer therapy really begins with Linus Pauling; 1901-1994. Dr. Pauling won 2 Nobel Prizes: one for Chemistry (1954) & one for Peace (1962). Dr. Pauling had taken an interest in the importance of vitamins and health as early as the 1930’s. In the 1960’s he started looking at the biochemistry of nutrition. “Pauling later broadened this concept into orthomolecular medicine. The concept and term (meaning “right molecules in the right concentration”) characterized an approach to the prevention and treatment of disease and attainment of optimum health that was based on the physiological and enzymatic actions of specific nutrients, such as vitamins, minerals, and amino acids present in the body.” This led to his research on vitamin C and its varied roles in maintaining a healthy body. He was convinced that vitamin C in large doses could prevent or be used as a treatment for the common cold. In 1970 he published the book Vitamin C and the Common Cold. He also saw that vitamin C could be used to treat the flu, cancer, cardiovascular disease, infections, & the aging process. Dr. Pauling’s published works regarding nutritional medicine were met with doubt from the medical establishment & was called quackery! “He maintained that biochemical individuality, molecular disease, or environmental stress may increase the need for certain micronutrients, such as vitamin C, considerably above the RDA. He also warned against overuse of such substances as sugar and chemical sweeteners. Unlike many advocates in the field of nutritional medicine, he considered orthomolecular medicine a crucial adjunct to standard medical practice and therefore did not rule out conventional treatments, such as surgery, chemotherapy, and radiation, when considered appropriate.” Linus Pauling Institute. In 1979 he wrote Cancer and Vitamin C. The research he and his collaborator, Dr. Cameron had done showing that Vitamin C in megadoses could kill cancer cells was called a mess & their methods came under scrutiny. Shortlly after their research was published, other scientists tried to copy it with negative results. 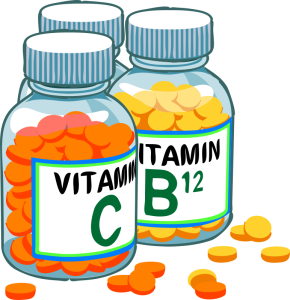 Vitamin C as a cancer therapy was put on the shelf & derided. Because of this any researcher of importance knew better than doing studies with Vitamin C & cancer. It was considered a “career killer”. Enough with the meat already! There has been an increase in research linking meats & disease. We saw in my last 2 posts the link between processed & red meat to colorectal cancer. This week studies have been published showing the links between meat & kidney cancer, diet & rheumatoid arthritis. As soon as these types of studies are published there is an outry by corporations & the public. The corporations because they will lose money & the public because no one wants to change their lifelong habits. You know, my greatest concern is that all of these studies will either scare people into doing nothing about their present eating lifestyle or they will make drastic changes that won’t be healthy & certainly won’t last. What can we learn from these studies & how do we apply the information to our lifestyles? First, lets take a quick look at two of the latest studies. Additional links will be provided at the end of this post. Studies Explore Link Between Diet, Rheumatoid Arthritis: “Those who ate a typical North American diet — high in red and processed meat, refined grains, fried food, high-fat dairy and sweets — were more likely to develop rheumatoid arthritis than those who ate a diet high in fruits, vegetables, legumes, whole grains, poultry and fish, the study found. However, the new research only finds an association between healthy eating and lower odds for rheumatoid arthritis. It doesn’t establish a direct cause-and-effect relationship.” Once again the preliminary research is showing that the typical American diet increases the risk for the autoimmune disorder, rheumatoid arthritis. Arthritis of any sort causes joint pain, swelling, redness, heat, along with general fatigue, low-grade fever & a loss of energy. What do these symptoms have to do with diet? I will explain in a moment. Here is the next study. University of Texas Study Links Meat to Kidney Cancer: “Another study has shown people who eat more meat have a high risk of cancer. This time, it’s kidney cancer, researchers reported Monday. And it’s not just people who eat red meat, as many other studies have shown. People who eat more so-called white meat, such as chicken, have the higher risk, too. The American/Western dietary pattern consists largely of red and processed meats, and the results of the current study suggest that the association between this dietary pattern and cancer may be in part explained by exposure to meat cooking mutagens,” they wrote.” This study is also preliminary & more research needs to be done. The study acknowledges the link between all meats, including chicken, & an increase in risk for kidney cancer. Their main focus is how the meats are cooked. The people in the study barbecued &/or grilled their meats. “Cancer experts have long known that grilling or barbecuing meat can make it carcinogenic. Burning or charring meat creates cancer-causing substances.” This is the link between cancer & meat this group is researching. Sugar, bacon, & low fat diets update. We discuss sugar a lot on this website. Invariably the first question I am asked by a new cancer patient is: “What is a healthy sugar substitute, agave or honey?” Sugar is sugar, no matter what form, is usually my answer. This is because the body metabolizes all sugars the same way. Some sugars do have health benefits, honey is one of them, but even too much of a good thing is not healthy. Cutting out added sugar can change the direction of your health. Read the entire article here: These Kids Stopped Eating Added Sugar And Then They Got Healthier “Cutting out added sugar from one’s diet can result in weight loss, reduced blood pressure and improved insulin sensitivity, according to a new study by researchers at University of California, San Francisco, and Touro University. The fascinating experiment, which swapped out added sugar in children’s diets for starchy foods — in effect, swapping fructose for glucose — hammers another nail into the coffin of the phrase, “a calorie is a calorie,” the researchers claim. Instead, it suggests that added sugars are exacting a unique toll on people’s bodies by making them prone to hypertension, diabetes and obesity, and that simply switching added sugars for starchy foods of equal caloric value results in better health.” To improve their health even more they could have switched to whole grains which metabolize slowly due to the natural fiber in them. But, I do see what their motivation was. Keep the diet of the children as close to their normal diet as possible so they would eat it! Well done I would say. Processed & Red Meat Raises The Risk For Cancer. The IARC, a group within the World Health Organization, published a new report on Monday, October 26th, stating that processed meat is carcinogenic and red meat is probably carcinogenic. 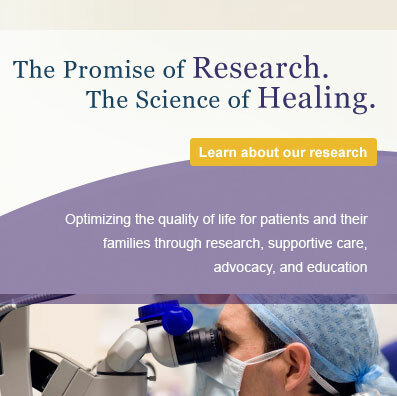 The International Agency for Research on Cancer (IARC) is comprised of 22 scientists from 10 countries. They did a formal review of 800 studies showing a link between meat & cancer. This report has caused some anger within the meat industry & confusion within the population of meat eaters. We can understand why this upsets the meat industry but what is causing the worlds confusion? Typically, it is caused by the way the media has presented the results. The North American Meat Institute had their press release ready to run before the IARC report was out. “IARC Meat Vote Is Dramatic and Alarmist Overreach,” the statement was headlined. “IARC says you can enjoy your yoga class, but don’t breathe air,” the group added, apparently referring to an IARC report that found air pollution can cause cancer.” You can read the entire article by clicking here: Glee, Panic and Yawns: U.S. Reacts to Report on Meat and Cancer The American Cancer Society was quoted as well: “For years AICR has been recommending that individuals reduce the amount of beef, pork, lamb and other red meats in their diets and avoid processed meats like bacon, sausage and hot dogs,” said Susan Higginbotham of the American Institute for Cancer Research. “The American Cancer Society has recommended limiting consumption of red and processed meat specifically since 2002,” Susan Gapstur of that group said.” Let’s look at what the IARC did say……. Red Meat: Classified as “probably carcinogenic to human beings”. This link to cancer was specifically found in colorectal cancer & “associations” were seen for pancreatic & prostate cancers. Processed Meat: Classified as “carcinogenic to human beings” This was based on evidence that processed meat causes colorectal cancer. It was added to the IARC Carcinogen List of proven carcinogens to humans which includes asbestos, tobacco & air pollution. Meat Consumption: For each 50 gram (1.76 ounces) serving of processed meat eaten daily will increase the risk of colorectal cancer by 18%. Recommendations: The larger the serving & the more often a person eats meat, the higher the risk for colorectal & possibly other cancers. Antioxidants Cause Cancer to Progress? Antioxidants are once again in the news. The use of antioxidant supplements by cancer patients has been a controversial subject for years. Note that I said antioxidant supplements; pills, powders, drinks etc. I did not say antioxidants in the diet. There is an important distinction here. The studies being done are using antioxidant supplements. Antioxidants in your normal balanced diet are safe to consume. Patients undergoing chemotherapy &/or radiation have routinely been asked to stop all antioxidant supplementation during treatment. Here is a simplified definition of how chemotherapy & radiation therapies work: they destroy cancer cells by inducing free radicals and by promoting oxidation of the cancer cells. Added antioxidants were thought to block the oxidation process, consequently interfering with treatment. In January of 2013, James Watson, PhD, & Noble Prize winner for discovering the DNA double helix, published a report regarding cancer therapies. In this report he said: “Everyone thought antioxidants were great,” he said. “But I’m saying they can prevent us from killing cancer cells.” Here is a good article about his stance; which, by the way, caused a huge uproar among researchers & oncologists. DNA pioneer James Watson takes aim at “cancer establishments” Dr. Watson also said that cancer cells produce their own antioxidants to block oxidation from treatments. Recent research has proven him right. January 2014 in WebMD Could Antioxidants Speed Up Cancer Progression? “Smokers and other people at high risk for lung cancer could make matters worse if they take antioxidant supplements, a new study of rodents suggests. Antioxidants appear to accelerate cancer progression by short-circuiting one of the body’s key immune responses to malignant cells, researchers from Sweden report.” This article goes on to explain the process in the body to detect and repair cellular DNA damage. Antioxidants help with this, but in patients with cancer or precancerous cells this repair work “hides” the cancer cells, making them undetectable. Research done with people suggests the same outcome. In a society where obesity is a major health problem, gaining weight seems inconsequential. For many people gaining weight is as difficult as losing it. Weight loss has many causes, medical & non-medical. In this post I will discuss cancer related weight loss & nutritional tips to help with gaining or maintaining your weight during & after treatment. This information would also be helpful to anyone who would like to gain a few pounds. Chemotherapy & radiation can lead to weight loss due to the following. •Changes in your sense of smell. •Changes in your sense of taste. •Side effects of medications; nausea, constipation or diarrhea. Under the Topics section of this website you will find an article I wrote: Nutrition Tips During Chemotherapy The article covers the above list in detail. In this post I want to elaborate on what you can do nutritionally. Every bite counts. Avoid the advice of some “experts” when they say you should eat more ice cream, shakes, butter & cheese. These are all fine in moderation but they are also inflammatory. Unless the dairy is organic it will contain antibiotics & growth hormones. Organic or not it is also estrogenic. With a little planning you can consume more calories that are nutrient dense & balanced from non-dairy choices. Sitting down to 3 large meals a day is counter productive. You will take in fewer calories because you will sit there pushing the food around on the plate & taking just a few bites. If you eat several ~6 to 8~ small snack type meals a day, in portions that you can eat in one sitting, you will consume more calories. As you can see in the food tips below, eating 8 small meals a day would give you a minimum of 1800 calories. Adding extra calorie dense choices would increase that. As your capacity for more food increases over time then you can increase the amount of food at each sitting. Growing up in the 1950’s with a stay at home mother who loved to cook, bake, & garden, taught me to use what I have at hand. She didn’t drive so she couldn’t run to the drugstore when we had a sore throat, cough or a high fever. The phrase that comes to mind from those times is, “think simple”. Simple is cheaper & usually better. If you don’t grow your own herbs then you can purchase fresh herbs like sage, thyme & rosemary in the produce section of the market. Fresh works the best, but you can use dried. Simply buy them in the spice aisle. There are many sage’s. The one to use medicinally is the culinary sage. At the end of this post is a list of resources. They are my well used & loved herbal reference books & websites. Sore throats can be bacterial or viral infections. The majority of them are due to viral infections heralding the start of a common cold. Throat inflammation is an immune response to the virus & usually accompanies a runny nose & cough. The following simple remedies will relieve the soreness & calm the inflammation in the throat. •Gargle with warm salt water. Water should be warm to the touch but not hot. 1 cup of water & 1/4 tsp salt. Swish & spit. 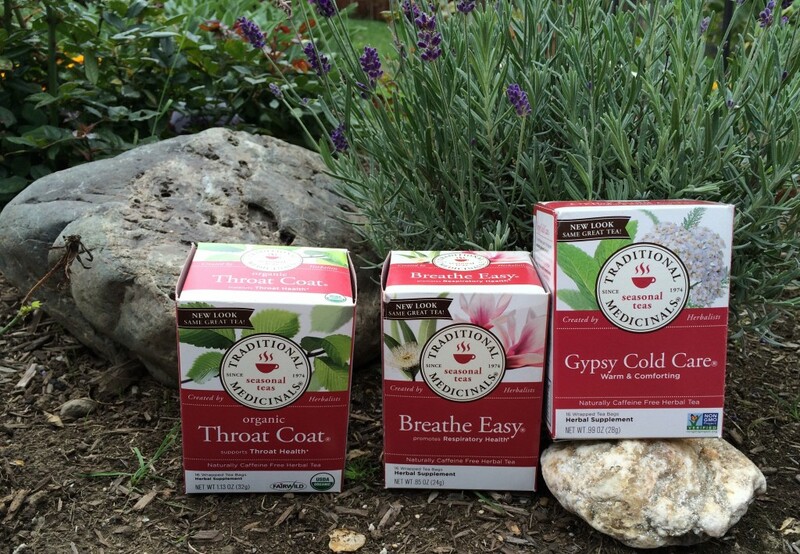 •Sore Throat Gargle by the herbalist Rosemary Gladstar. This one has a bit of Zip to it. Rosemary says that she is the first to admit that it isn’t her tastiest recipe but it works for both sore throats & laryngitis. Combine all of the ingredients. Gargle frequently as needed throughout the day. Don’t swallow, swish & spit. •Sage Gargle. This is an old family recipe that Dr. Low Dog recommends for a sore throat. It works quickly. Bring the water to a boil, add sage, cover & let steep for 10 minutes. Strain, pour into a tea mug, add the salt & stir. Gargle every 1-2 hours, or as needed. Don’t swallow, swish & spit. Dr. Low Dog notes that this gargle can be used along with antibiotics for strep throat. The flu & cold season is upon us. What can you safely use for cold & flu symptoms before, during & after chemotherapy, radiation or surgery? There are literally thousands of over the counter remedies to choose from. I will talk about remedies that are natural & easy to find. I will also note if there are any drug interactions that you should be aware of. •Alleviate stress with mindfulness programs or meditation. •Vitamin C: 1000 mgm each morning. This is an anti-oxidant & you should check with your health care team if you are taking chemotherapy or radiation. •Elderberry Syrup: Black elderberries are anti-viral & will relieve flu symptoms. They are also protective if taken every morning during the flu season. Sambucus Syrup by Nature’s Way is a good, safe brand to use. Gaia Black Elderberry Syrup is another good, safe brand. This is an anti-oxidant & you should check with your health care team if you are taking chemotherapy or radiation. Dispose Of Expired Medications Properly, Turn Them In On National Drug Take Back Day This is happening on September 26th nationally. Read the article to see what they will take back. It also tells you how to dispose of these unwanted medications & over the counter drugs at home. Wonderful public service. Powdered caffeine??? & other news. My love of coffee is well known. I love the smell of the coffee beans when I open the canister. Making a cup of coffee is a morning ritual for me: grind the beans, set the water to just before boiling, lovingly put the grounds in a French Press, add the water & mindfully 🙂 wait for the 4 minutes brewing time. First sip is pure bliss! I drink coffee for its flavor first & as a “wake me up” secondly. By the way, unbeknownst to most of you, I feel the same way about tea. Again, the process of making a pot of tea or coffee is a beautiful ritual not to be missed. In my last post we discussed the direct link between obesity & cancer. Now you know the health risks of being obese & even overweight. If you are a cancer survivor or a person interested in decreasing the risk of cancer here are some questions you should be asking. How do you SAFELY lose weight? How do you MAINTAIN your weight loss or your present healthy weight? Most commercial weight-loss programs do not include a physician. US News & World Report listed the best diet programs of 2015. Best Weight-Loss Diets: “The best diet for losing weight is Weight Watchers, according to the experts who rated the diets below for U.S. News. HMR Diet, Biggest Loser and Jenny Craig came in close behind. Other diets performed as well or better in enabling fast weight loss, but long-term weight loss is more important for your health.” Take a look at the list. I won’t go over all of them but I would like to comment on Weight Watchers. The article summarizes the Weight Watchers Program: “This popular points-counting diet helps dieters drop pounds and keep them off. In experts’ ratings, Weight Watchers bested all other ranked diets for both short-term and long-term weight loss. That doesn’t guarantee it will work for everyone, of course. Its average rating of “moderately effective” for long-term weight loss reflects the difficulty dieters have in staying on the wagon, even when using the best weight-loss diet available. Counting points rather than calories, learning portion control and being given choices of foods to eat, is why this program is popular & easy to follow. Weight Watchers does sell processed, &, frozen meals, that you may use. But this is a choice. I have used this program with great success & it is my fall back program when I am “stress eating” again I like its versatility. I choose only those foods that are organic & fit into my vegan/vegetarian lifestyle. The leaders of the meetings have always been supportive & there are booklets to help vegetarians navigate the program. When you are finished with the program & see a few pounds creeping back it is an easy program to do on your own. I use this app: Pro Tracker It is not from Weight Watcher but it is cheap & easy. It has the points for every food you can imagine & it allows you to add your own individual food or create a recipe & the points are automatically counted. If you are a Weight Watcher participant or have been then take a look at this app. “Obesity is a complex disorder involving an excessive amount of body fat. Obesity isn’t just a cosmetic concern. It increases your risk of diseases and health problems, such as heart disease, diabetes and high blood pressure. Being extremely obese means you are especially likely to have health problems related to your weight. The good news is that even modest weight loss can improve or prevent the health problems associated with obesity. Dietary changes, increased physical activity and behavior changes can help you lose weight.” Mayo Clinic. I want you to note that according to the Mayo Clinic, obesity is a complex disorder. Cancer patients know that weight gain, even obesity, can be due to chemotherapy, steroids & the cancer itself. Obesity is also linked to genes, environmental factors, inactivity, stress, depression, unhealthy diet, individual behavior & lifestyle choices. Today I will be discussing cancer risk & risk of re-occurrence linked to dietary obesity. 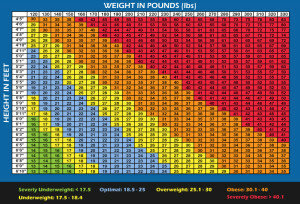 Obesity is either measured by your Body Mass Index~BMI~and/or your waist measurement. Simply put you are taking in more calories than you expend with exercise. Measure your waist by placing the tape measure about an inch above your belly button. For women, a healthy waist measurement is less than 31.5 inches, and for men, it’s less than 37 inches. ***BMI doesn’t know the difference between body fat & muscle. Muscular athletes would be under the obese category. Children, pregnant women, & nursing mothers can’t use this chart either. Check with your doctor before deciding you are at risk. I enjoy wading through sensational headlines about nutrition to get to the heart of the matter. Usually they are misleading and are not based on research. This past weeks articles surprised me. They are based on research although two are misleading. Let’s explore these latest headlines regarding diets & food choices: Coca-Cola, the Paleo diet, the Low Fat vs. Low Carb debate & spicy foods. My favorite is what Coca-Cola is trying to sell to the public. So let’s look at that one first. The non-profit that has come under fire for accepting a $1 million dollar donation from Coca-Cola is The Global Balance Energy Network. This is an interesting non-profit. It’s mission statement: “The Global Energy Balance Network (GEBN) is a newly formed, voluntary public-private, not-for-profit organization dedicated to identifying and implementing innovative solutions – based on the science of energy balance – to prevent and reduce diseases associated with inactivity, poor nutrition and obesity. It is a premier world-wide organization led by scientists working on the development and application of an evidence-based approach to ending obesity.” Their mission statement sounds good but after reading the rest of the website I am not impressed. Energy balance is a term that in reality means a healthy, balanced diet, exercise & stress reduction. At least that is what evidence based research has shown us! GEBN’s definition is vague. On the website it states that they have received a lot of emails criticizing their mission statement & their acceptance of the donation. Their answer is that they will have a statement later this week & that they are taking this very seriously. I would hope so. As stated in the second article, money for government research is dwindling & scientists are accepting corporate money to do much needed scientific research in all areas. I understand the problem but it does raise the question concerning undue influence & compromise regarding the study results. I doubt very much that Coca-Cola wants to hear that increased sugar use is contributing more to obesity than inactivity. The simple definition of a vegan (vee-gun or vee-gn) is a vegetarian who omits all animal products from their diet. In this post we will be discussing the vegan diet & not the vegan lifestyle. What does a vegan diet look like, what are the benefits & the pitfalls. 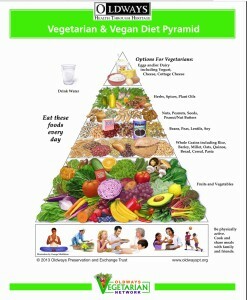 Oldways website has this wonderful graphic of a vegetarian/vegan pyramid. Note at the tip of the pyramid are the options for a vegetarian. These foods would be omitted on a vegan diet. Pay attention to the bottom of the pyramid; exercise, share meals with family & friends. I like this website because of the wealth of information & recipes for every type of lifestyle. It has information regarding the Mediterranean diet as well. Here is a simplified version of a vegan plate by Ordinary Vegan This website is a good resource for easy to fix vegan recipes. Other websites for vegans tend to use a lot of ingredients that are hard to find & the recipes are unusual to the average person. Cleaning up your plate is not as difficult as you think. It doesn’t mean getting rid of foods that you like. It doesn’t mean becoming someone you aren’t. 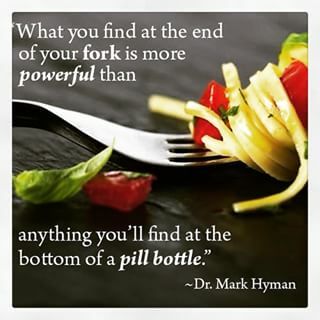 It means looking at your choices & “tweaking” them to fit onto a healthy plate. I will be writing about your “plate” but I want you to think about it as a symbol of what your entire day of eating looks like. We will look separately at breakfast, lunch, dinner & snacks. What the possibilities are and what the reality is. The changes you make in your eating habits should be done gradually; over weeks, days or even months. 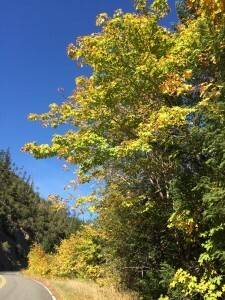 The changes will become a permanent part of your routine when added slowly & with thought. The optimal plate or day you are striving for looks like this. Fruits: When eaten as a whole food they are full of fiber which slows down the sugar entering your system. I limit my fruit to 3 a day. More than that & I feel like I have eaten candy all day. Pay attention to how fruit affects you. Whole grains: So many to choose from! Like the potato, avoid white grains. They are denuded of nutrition. Rice for example comes in red, black, brown, and more. Each one has a different texture & fiber. My daughter loves white sticky rice with her Asian food. That is fine, another treat! Protein: Limit your protein to the size of the palm of YOUR hand. Vary the protein you do eat because the nutritional value differs in types of protein. If you eat meat then plan at least 2 vegetarian meals per week. Tempeh is a good choice because it is simply a cake of fermented soy. American tofu is very processed. When I buy tofu, which is no more than once a month, I choose sprouted, organic tofu. It is less processed & a healthier choice. Oil: See the post on oils a few weeks ago. Dairy: All dairy is inflammatory & should be avoided or eaten in moderation. 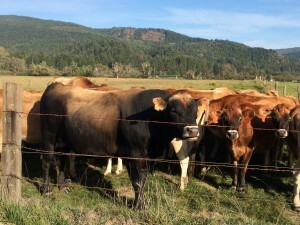 Cattle are given shots of a growth hormone & antibiotics. Buying organic dairy guarantees that it is hormone & antibiotic free but it does contain estrogen. 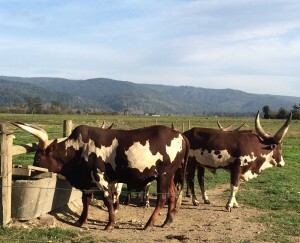 Cows are milked while pregnant so their estrogen level is high. Drinks: Water should be your drink of choice. Limit fruit juice to 4-6 ounces a day. It is very high in sugar & the body treats it like any other sugary drink. Milk is not a drink. Breakfast: This meal is very important. You are breaking the fast since you last ate. It is also setting you up for the rest of your day. You can be very creative with your breakfast or fall back on routine. Wayne Dyer said in his blog post: “Change the way you look at things, and the things you look at change.” This simple observation of Dr. Dyer’s is really quite profound. I am going to use this idea as it applies to our eating habits. Using Dr. Dyer’s observation let’s look at the “price of eggs”. One afternoon several years ago I was buying produce at Jimbo’s when I overheard a woman complaining that a head of organic romaine lettuce was $2 & she refused to spend that much. I looked in her cart & saw 2 Green & Black organic candy bars…$3.89 a bar at that time. If we are willing to spend $4 for one candy bar then why aren’t we willing to spend money on organic produce? 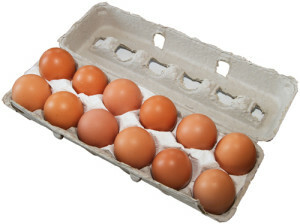 Today’s average price per egg is $0.22, it has 58 calories, 5 grams of fat, 6 grams of protein & NO SUGAR. The average price of a 3 ounce Snickers bar is $1.00 & it has 215 calories, 11 grams of fat, 3 grams of protein & 20 grams of SUGAR. Look in your cart & see what your Snickers is 🙂 Let’s begin our grocery shopping list with the mindset that organic produce is the healthiest food item we can eat & compare each purchase to our “Snickers”. The Dirty Secrets of ‘Clean’ Labels Samantha Adam’s quote can be found in this very good article about the ingredients found on labels. The authors explore how & why the big corporations & the FDA have changed labeling. Why these changes? “It boils down to one thing: Consumers don’t trust companies anymore,” says Lynn Dornblaser, director of Innovation and Insight for the market research firm Mintel. Mintel recently surveyed grocery shoppers. Only 38% said they trust what companies say about their products on food labels. “That’s 62% who don’t,” she says.” Wow, 62%! This is great news. Companies are only hurt when their bottom line~$$$~is affected. Then, & only then will they make changes in our favor. This is why your buying habits matter. You vote every time an item is scanned at the checkout counter. Again using Dr. Dyer’s observation; what are you looking at when you buy products with labels? 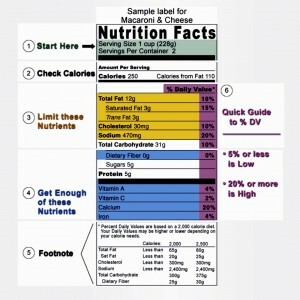 Are you checking the Nutritional Facts Label for sugar, calories, fat or fiber? Maybe that isn’t how we should be looking at these labels. My favorite posts to write are the updates. Each week there are many new health & nutrition articles in the news. This week I want to share an update on coconut oil, avocados, sunscreen, coffee:), & restaurant food vs. fast food. I will also share some new recipes that I think you will like. Coconut oil is always in the news & posted on Facebook as a “super-food”. If you Google it you will find websites with lists for the many uses of coconut oil. Some of them are just comical! So, what is the story with coconut oil? I mentioned coconut oil in the post on Healthy Oils/Fats a few weeks ago. Uses: High heat. Baking, stir fry, roasting & for popping popcorn! Problems: None. This saturated fat is not a problem because it is a medium-chain triglycerides which in research is seen as heart healthy. Health benefits: There is not a lot of research that suggests it is a “super food”. It is a good choice when cooking but shouldn’t replace better choices such as Olive Oil. Here is a good article: What are the health benefits of coconut oil This is a fair assessment of coconut oils health benefits. I added the link above to give you a fair assessment of coconut oil. Here is another article, dated 7/7/15, on the Forks over Knives website that our NUT Elf, Suzi, brought to my attention. Is Coconut Oil Healthy or Hazardous? The article begins as follows: We are not quite sure why people think there is something magically healthy about coconut oil. We think it is because it tastes good, and therefore the misinformation is easier to swallow. For several years now, coconut oil has been marketed as the new wonder oil, a cure-all with health benefits ranging from antimicrobial properties (such as fighting viruses and bacteria, including HIV), to fighting cancer (by supporting our immune system), to reducing heart disease (by reducing cholesterol and benefiting our arteries), to promoting weight loss, to treating hyperthyroidism, to many other things. Its uses are also varied—it’s a cooking and baking oil, an ingredient in many packaged foods, and a component used in biodiesel fuel, soaps, and skin products. I like this article because the authors, two M.D’s, bring up information that you don’t see on other websites or in other articles. Click on the link above to read the entire article. Here is the last paragraph: “In light of this information, coconut oil seems better served in our cars and on our skin, and really should never be used in our food. Having said that, if you enjoy the taste of coconut, or if a little bit of coconut is helping you stay on this healthy new diet and lifestyle, then using a little bit of the whole plant food, not the oil, once in a generous while, is okay.” I agree with all the research & information the authors site. But~I would say that coconut oil can be used “once in a generous while” in place of Crisco. I use coconut oil to season my cast iron pans, I use it when making my families old biscuit & pie crust recipes that call for Crisco & my husband uses it once in a great awhile to make popcorn taste “buttery”. My oil of choice is Organic Extra Virgin Olive Oil. It is the only oil in my cupboard for general cooking. Last weeks post discussed why our bodies need water. This week I will look at water quality, filters, containers & bottled water. We, in the United States, take our drinking water for granted. We simply turn on a tap in our home & there it is. 750 million people around the world, 1 in 9, do not have access to safe water. The Environmental Protection Agency & each states Department of Public Health requires a Drinking Water Quality Report. In California it is required yearly. The most recent, 2013 City of San Diego’s Annual Drinking Water Quality Report gives you an idea of what they test for and how it is rated. Click on the link for the entire report. Here is an excerpt that I feel is important to understand. Contaminants that may be present in source water include: ***This is true of water that is collected anywhere in the United States. • Microbial contaminants, such as viruses and bacteria that may come from sewage treatment plants, septic systems, agricultural livestock operations, and wildlife. • Inorganic contaminants, such as salts and metals, that can be naturally occurring or result from urban storm water runoff, industrial or domestic wastewater discharges, oil and gas production, mining, or farming. • Pesticides and herbicides that may come from a variety of sources such as agriculture, urban storm water runoff, and residential uses. • Organic chemical contaminants, including synthetic and volatile organic chemicals that are by-products of industrial processes and petroleum production, and can also come from gas stations, urban storm water runoff, agricultural application, and septic systems. Water: What should your daily intake be? If you ask anyone, part of your health care team or even a person on the street, what your daily intake of water should be, you will get the same answer. 8-10 cups a day. Where did this guideline come from & is it correct? There are many reasons why this is a tricky question for anyone to answer. I will address the most important reasons as well as why we need water, what the consequences are of not having consumed enough & measures to take to prevent dehydration. The history of this guideline is very interesting because it is difficult to pin it down to one person. It may have been just a footnote in the 1945 & 1948 U.S. Dietary Guidelines or it may have been popularized by a book written in 1974. Regardless, these recommendations are no longer part of the U.S. Dietary Guidelines because researchers don’t know how much water an individual should drink daily. This is a good article to read. How much water should we be drinking? Science doesn’t have a clue. As a Registered Nurse I would record a patients intake & output, I&O, to make sure they were not losing more fluids than they were taking in. Why was this important? There have been quite a few conflicting articles this week regarding the 2015 FDA Dietary Guidelines that will be approved in a few months. These guidelines will also dictate school lunch guidelines as well as what is on the labels of processed foods. Rather than the benefits being discussed they are being politicized. It is difficult enough to decide what is healthy to eat. Now, we not only have pesticide lobbyists, beef industry lobbyists & climate change naysayers to name just a few; we also have politicians making unscientific claims about the guidelines. What do we do with all this misinformation? We ignore it! We trust what our bodies are telling us to eat. I have put together definitions of types of oils/fats plus a list of the most common ones that we use to help you navigate through the misinformation. But first, here are a few of the headlines from this past week that I wanted to comment on. Since about the 1950’s there were many non-fat, fad diets introduced. Yet we remain an obese nation with heart disease, diabetes & cancer on the rise. We now know that blood cholesterol levels are not affected by diet choices ~except for those who are diabetic~ & that the body needs fat to be able to function. Chocolate is in the news again! It is so nice to be validated. 🙂 Trans-fats, a diet to mimic fasting, a great guide for transitioning to a plant based diet and more exciting news. Of course we will begin with chocolate. A Little Chocolate A Day May Keep Cardiovascular Disease And Strokes At Bay “In the back-and-forth debate over whether chocolate is good for you or bad, a new study found people who regularly consume a reasonable amount of chocolate had a lower risk of cardiovascular disease and strokes compared to people who didn’t consume any.” I guess they had to say “a reasonable amount~same as that M word~moderation. 🙂 The article does say that you should stick to dark chocolate. With all the reading I have done regarding health & chocolate, I recommend 80% & above. The darker it is the less sugar & dairy is involved. I still love the 90% Lindt makes. I eat one square in the evening for my chocolate fix. The FDA is banning the use of trans-fats in processed foods over the next 3 years. The FDA takes step to remove artificial trans fats in processed foods, “Based on a thorough review of the scientific evidence, the U.S. Food and Drug Administration today finalized its determination that partially hydrogenated oils (PHOs), the primary dietary source of artificial trans fat in processed foods, are not “generally recognized as safe” or GRAS for use in human food. Food manufacturers will have three years to remove PHOs from products.” 3 years? It is not like this is new news. Studies on trans fats have been going on for years. Smoothies have been a popular drink and/or meal replacement since the advent of the refrigerator & blender. I remember making them in the 1960’s. They actually date back to the 1930’s in the U.S.A. but have been a part of the Mediterranean cuisine for several hundred years. I will show you my basic smoothie recipe which is not only packed with nutrients but is also tasty! This recipe can be easily customized according to your needs; higher protein or higher calories for example. I will discuss protein powder choices, spices, whole foods, liquids, & extras to add to your smoothie. This recipe makes approximately 12 ounces depending upon what you have added to it. For a nutrient dense, high fiber, balanced smoothie, you should try for 20-25% fruit & 75-80% vegetables. Quit making faces! You can’t taste the vegetables unless you use a strong flavored one like kale or arugala. The fruit & spices will give you the flavor you want. Liquids: 1 cup or more to adjust the thickness of the smoothie. This choice is dependent upon what tastes best to you. Water works as well as any other liquid. Nut Milks are easy to make for the base of the smoothie. Add 1 cup of water into your blender & throw in about 1/4 cup of nuts & blend. Instant nut milk! No need to strain out the “bits” because they add to the flavor & won’t be noticed. My preference is raw cashew nuts. Roasted nuts give a nuttier flavor to the smoothie & adds calories due to the oil. Coconut Water or Coconut Milk adds a coconut flavor for the base. I like it but it is expensive. Check the labels when buying either one. Pepsi owns O.N.E & Coca Cola owns ZICO. We hear a lot about having a strong immune system to help our bodies ward off common illnesses & diseases in our environment. There is the “flu season”, “cold season”, childhood disease crises, etc. The best way to keep your immune system operating optimally is to give it a consistent supply of balanced nutrition. What is the immune system & how does it work? The simplest definition I found was on KidsHealth.org. “The immune system, which is made up of special cells, proteins, tissues, and organs, defends people against germs and microorganisms every day. In most cases, the immune system does a great job of keeping people healthy and preventing infections. But sometimes problems with the immune system can lead to illness and infection. The immune system is the body’s defense against infectious organisms and other invaders. Through a series of steps called the immune response, the immune system attacks organisms and substances that invade body systems and cause disease.” The immune response includes the thymus, spleen & lymph system. The nutrition news this past week has reaffirmed what we already know about what to eat, but also held a few surprises. We will look at the articles & studies that I felt were newsworthy enough to share. I have also included two new recipes from our NUT Elf, Suzi, & myself; links to websites with great recipes from our Ms. Helen & Eubie & one of my favorites. So much to cover! Many Probiotics taken for Celiac Disease Contain Gluten From the New York Times. Colombia University doctors, in 2014, noticed that people with celiac disease who use probiotics felt worse. What is Celiac Disease? Mayo Clinic: Celiac disease is an immune reaction to eating gluten, a protein found in wheat, barley and rye. If you have celiac disease, eating gluten triggers an immune response in your small intestine. This is a serious disease & patients have to avoid ALL gluten. Healthy Recipe Ingredient Substitutions & Other Helpful Tips. Recipe not going to happen I decided to bake a batch of corn muffins to go with our vegetarian chili. I didn’t have the milk or the shortening that were called for in the recipe. I also didn’t want to use that much sugar. What to do? I am not the only person with this problem. That same day I received an email from our NUT, Ms. Helen & Eubie, asking for a recipe for healthy, dense breakfast muffins that can be frozen for future use . Ms. Helen also asked how to freeze fresh berries. Hence the topic for today’s post; Healthy, Recipe Ingredient Substitutions & Other Helpful Tips. I have included, both below & on our Recipe page, 2 links to websites with lists of substitutions. One is for everyday ingredients & the other is much more creative & interesting! Let’s begin with my corn muffin problem, helping Ms. Helen at the same time. Here is my basic recipe for corn muffins. I will show you how to swap the ingredients I lacked for healthier ones & how I added ingredients to make it more dense…my substitutions are in red. This can be done with any of your favorite recipes. I don’t think that I know anyone who is not on some sort of a budget. We all have to eat and to feed our families. It is tough to make healthy choices on a strict grocery budget. Grocery bills are high whether they are Organic or not. I was thinking about this dilemma because I have the same problem. The truth about the choices we need to make came home to roost when Alessandra posted an article on Facebook; What to Eat When You’re Broke from the Eat Local Grown website. This is written by a mother who finds herself having to make difficult choices to feed her family which includes a small child. I will reproduce parts of this article that I think are relevant to us and comment on them. You can read the entire article by clicking on the title above. This is the list the author gives of what she generally tries to avoid. Sound familiar? “The history of spice is almost as old as human civilisation. It is a history of lands discovered, empires built and brought down, wars won and lost, treaties signed and flouted, flavours sought and offered, and the rise and fall of different religious practices and beliefs. Spices were among the most valuable items of trade in ancient and medieval times. o’s, Whole Foods, & Trader Joe’s sell organic seeds & starts. Here are 5 of my favorites which can treat minor health challenges immediately. Sage, Rosemary, Thyme, Peppermint, & Lemon Balm are easy to grow in pots and can be used in cooking and for medicinal teas. Preparing & drinking a cup of tea continues to be a ritual in countries like Japan, India & in the United Kingdom. Collecting my herbs, preparing them & the tea mindfully has a calming effect all on its own. Sitting down with my cup of herbal tea adds to that state of calm or even bliss. Ahhhh…. Diet Pepsi, Silicone Bakeware, Non-dairy Milks & Cookies! I found several good articles in the news again this week. I was also sent links to two I missed; thank you NUT Elves, Suzi & Deborah! In addition, I had a request for cookie recipes with no added sugar. Oh, and by the way, I have written an informative page: Medical Marijuana, (Cannabis Sativa), and posted it under Topics to help clear up the confusion regarding its use. lity & more. Stress reduction? Same list. A healthy diet plus exercise is the ticket to physical & mental well-being before, during & after cancer. I had a difficult time trying to decide between so many health news articles that came out last week. I finally chose three. Here are the subjects I chose. Diet and Mental Health (no brainer..LOL! ), 1,000 year old Onion & Garlic Recipe Kills Antibiotic-Resistant Super-bug & FDA Drops the Ball on Weight Loss Supplements. An article on line by the Huffpost caught my eye Diet May Be As Important to Mental Health As It Is To Physical Health. I guess the reason I looked at this article is because it seemed so ridiculous to me. Anyone who has changed their food intake from junk food to whole foods knows that not only did they have more energy but mentally they felt better as well. The brain fog from too much sugar, salt & fat lifted as soon as they quit eating that way. They felt more alert, less depressed and more focused within a day or two. I always notice a huge change in outlook by the third day of a plant based, whole foods diet. 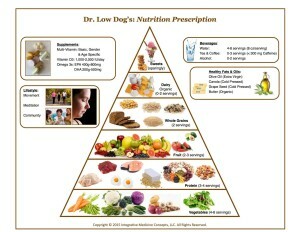 I attribute the change to getting the nutrients from fresh foods that were lacking in processed & junk foods. never felt that artificial sweeteners were the answer to cutting back on sugar intake. I have also felt that they were not the best choice because they are highly refined and made of chemicals & sugar alcohols. My other objection is that they are not scrutinized very closely by the FDA. More importantly, you don’t learn anything about a healthy diet and a healthy intake of sugar when consuming low calorie or no-calorie foods. Exactly what do I eat? or DASH diet, but what do I eat?” This is a fair question. Even if you have read “Mary’s Nutrition Guidelines” in our Topic section you would be asking me the same thing. Simple question, complicated answer. What you eat is dependent upon on so many factors but most importantly, how you feel at the moment. Are you preparing a meal and don’t know where to start? Are you laid out on the couch just returning from chemotherapy? Did you just come from a Zumba class with Alessandra? Do you live alone and you are preparing a meal just for one person or do you have a family of 5 picky eaters. Lots of scenarios to work with. I will try to help sort this out. Lets start with a food pyramid…. We hear about the importance of eating fish for Omega 3’s and to stay away from Omega 6’s. What are they and why are they important? Omega-3’s & 6’s are a form of polyunsaturated fat that the body gets from food. They are called essential fatty acids because the body needs them to maintain health. The body can’t manufacture either of these essential fatty acids (EFA’s). Omega-3’s come primarily from fatty fish such as salmon, sardines, mackerel, and tuna, as well as from walnuts, hemp, chia and flax seed. You get Omega-6’s as linoleic acid from plant oils such as corn oil, soybean oil, and sunflower oil, as well as from nuts and seeds. Technology: Blessing, Curse or Both? Technology can be a blessing as well as a curse. I love technology because of the extraordinary amount of information that is at our fingertips! It is also a curse because of the extraordinary amount of information that is at our fingertips! Yet, we can use the technology to our advantage. Chronic Inflammation has been linked to cancer for quite sometime. It was noted that chronic bowel inflammation sometimes led to cancer of the colon. This led to research looking for a link between other cancers and chronic inflammation. Most chronic illnesses such as cancer, diabetes, heart disease and auto-immune conditions are now considered inflammatory diseases. This is important for prevention and lowering the risk of recurrence…. Nutrition Guides you need to know about. Good Day to everyone! Our NUT Elf, Suzi, has been very busy sending me wonderful nutritional guides that you should know about. I want to share them with you. The Dietary Guidelines Advisory Committee, made up of medical and nutritional experts which meets every five years, has recommended a diet high in vegetables, fruits, grains, legumes, nuts, seeds, fish & low-fat dairy. Does this sound familiar? Mediterranean Diet come to mind? The committee has stated that these guidelines are “more health promoting and is associated with less environmental impact” than the current US diet, which is high in meat. Cholesterol: Bacon & Eggs Are Back! If you have been following the health news this week you have seen the newest study on coffee. 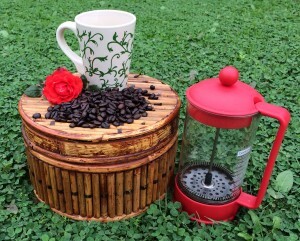 “Coffee May Lower Endometrial Cancer Risk” ‘Women benefited from drinking about 4 cups daily, study suggests’ Most of you know how much I love coffee. I am also an avid tea drinker but I do need my coffee everyday. A headline with coffee in it always attracts my attention. This is an interesting study. If you will click on Topics on the menu above and click on coffee on the dropdown menu you will see the entire article and my comments. Once again Vitamin D is in the news. As most of you know, I am not an advocate of taking any supplements unless blood work by a reputable physician shows a deficiency. Getting vitamins & minerals in your diet is the only way to be sure of it being safe and bioavailable. How & where to shop for organic products and the freshest organic produce when you are on a budget? How do I cook them? How do I store them? These are questions I have had to ponder whenever I moved to a new place. This move is not any different. I hope my quest gives you the incentive to look around where you live. 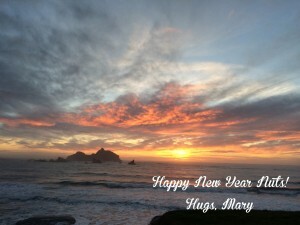 2015 is a year of new beginnings for me and for our group. As many of you know, I have moved to the northwest corner of California. Our move went smoothly with the help of my daughter and my two grandsons. We are unpacked but still arranging and rearranging our “Blue House”. Even though I am 825 miles from Encinitas I will continue to keep you up to date on nutrition research, news and answer any questions you may have. This website is now public so feel free to share it with family & friends. Even though I have been packing and moving I have kept an eye on the health news. Lots to share! Let’s start with Dr. Oz….